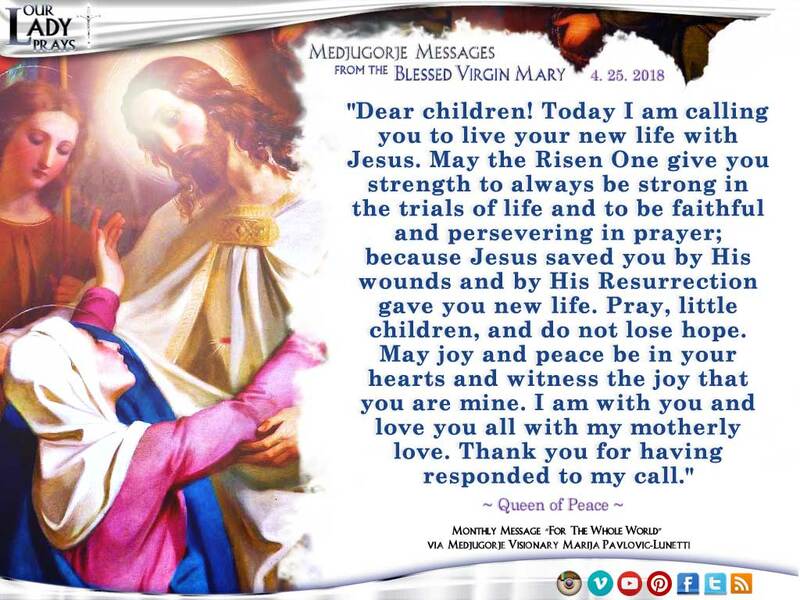 Subscribe to Receive Our Lady’s Messages Via Email! Please Share this Message with your Loved Ones! 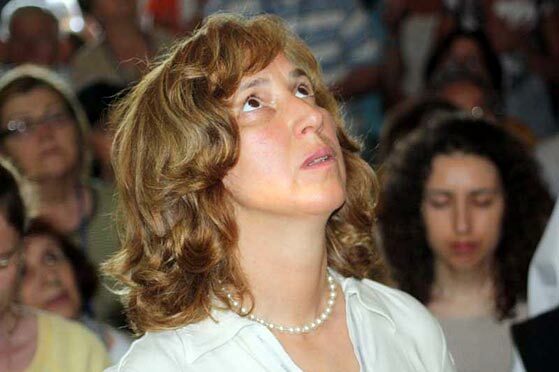 Marija was born on April 1st, 1965, in Bijakovici, in the parish of Medjugorje. She still experiences daily apparitions. 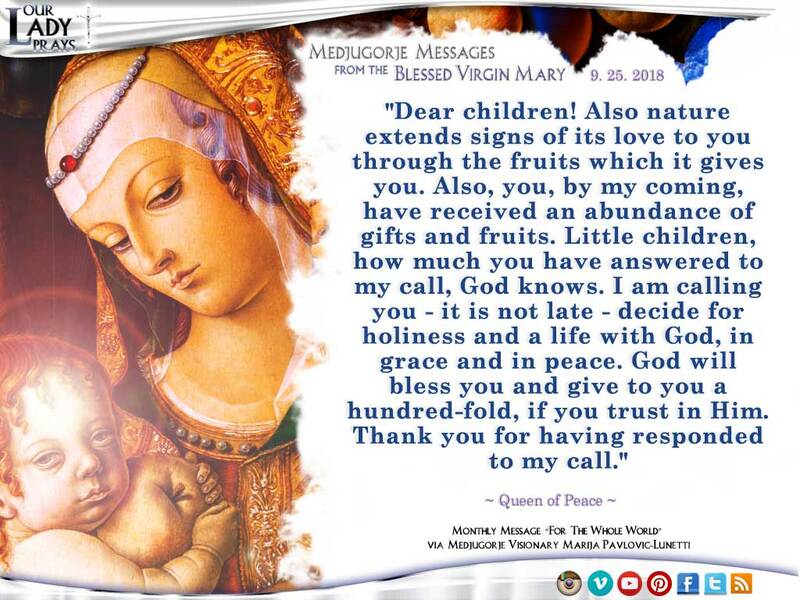 Through Marija, Our Lady gives her Monthly Message to the Parish and The World. From March 1st, 1984, to January 8th, 1987, the message has been given every Thursday, and since January 1987, on every 25th of the month. Our Lady entrusted nine secrets to her. Marija is married and she has four children. 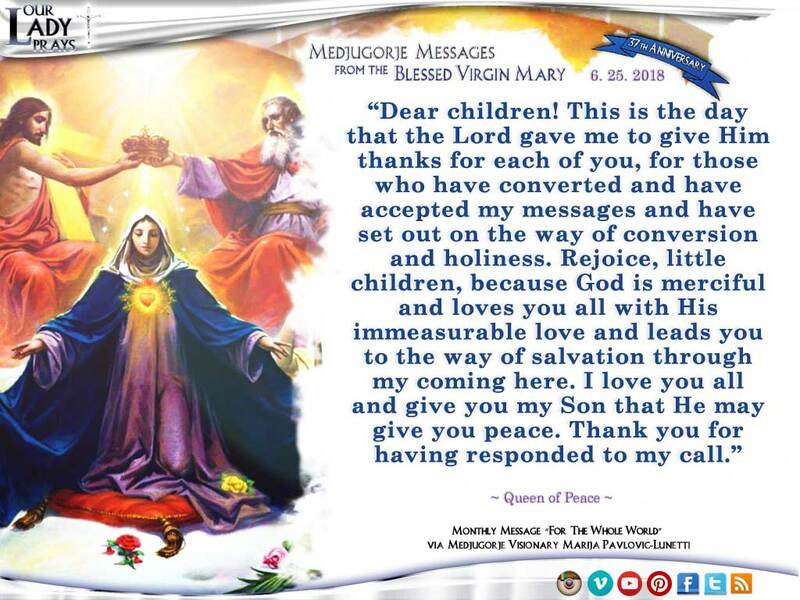 With her family, she lives in Italy and in Medjugorje. 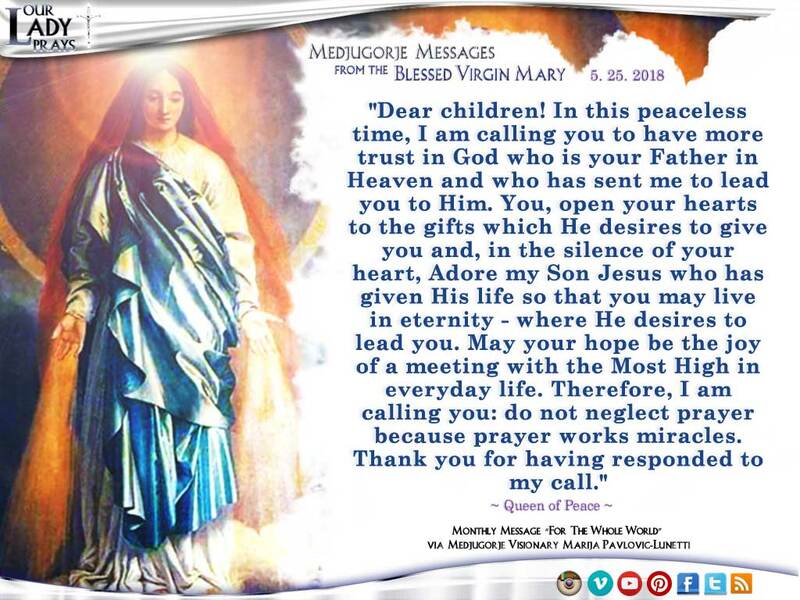 The prayer intention that Our Lady confided her: for the souls in purgatory. 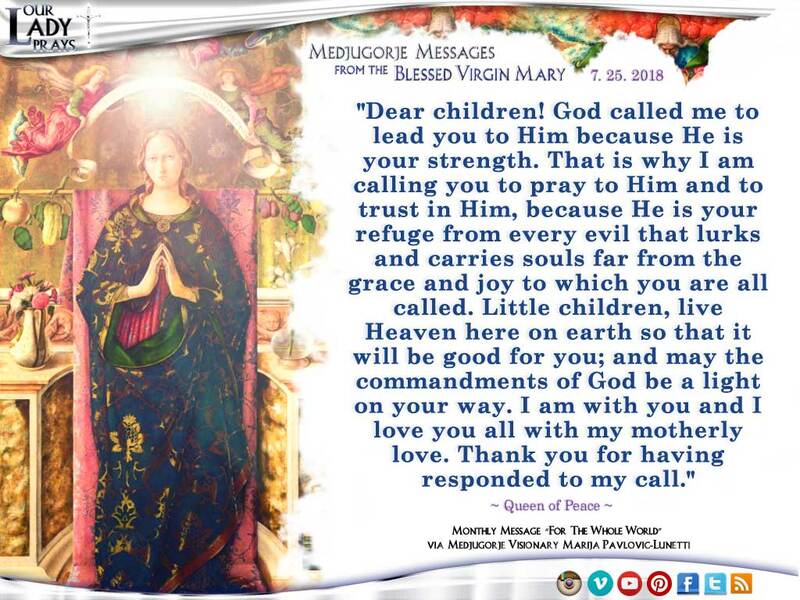 "Dear children! Also nature extends signs of its love to you through the fruits which it gives you. Also, you, by my coming, have received an abundance of gifts and fruits. Little children, how much you have answered to my call, God knows. 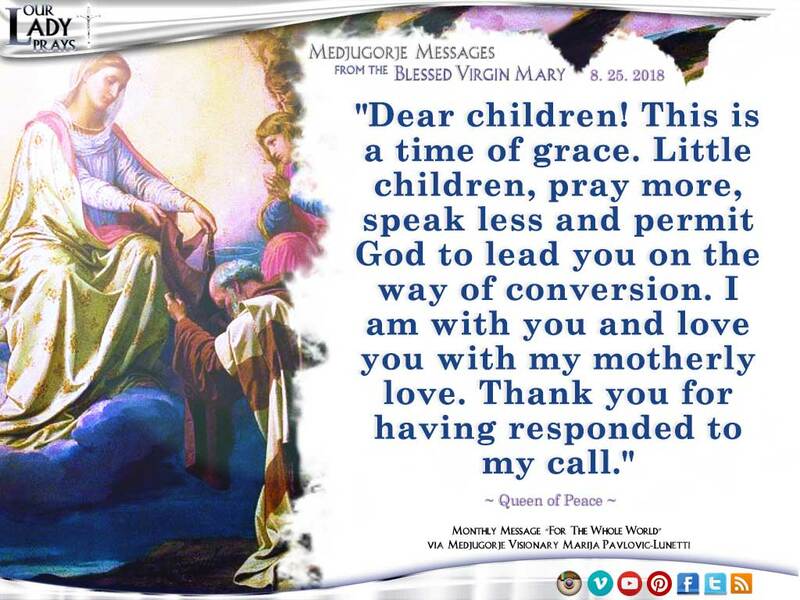 I am calling you - it is not late - decide for holiness and a life with God, in grace and in peace. God will bless you and give to you a hundred-fold, if you trust in Him. Thank you for having responded to my call."